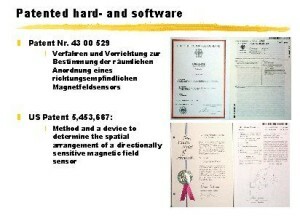 The AG501 is TÜV certified according to the DIN EN 61010-1:2002 and DIN EN 61326-1 Measurement Procedures. 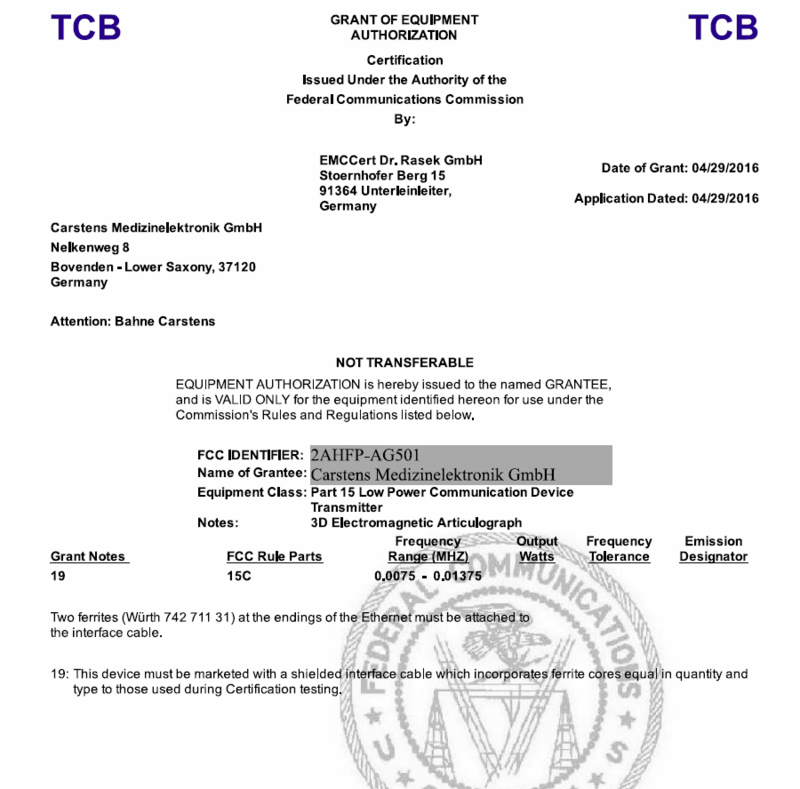 The AG501 has the FCC certification too. 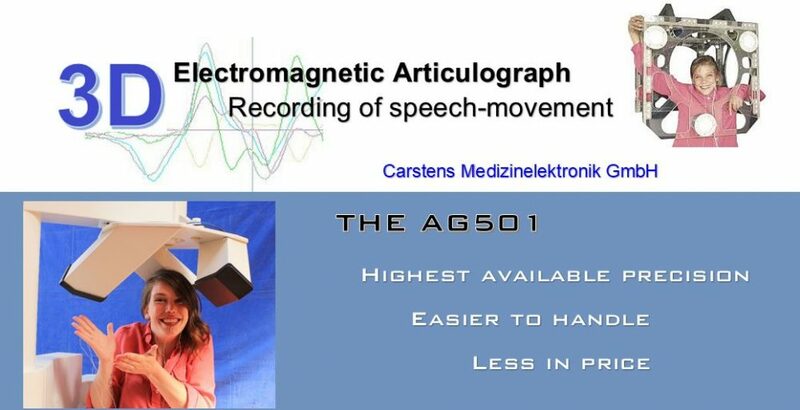 This confirms that the AG501 meets the IEEE standard for electromagnetic radiation for head and torso tracking (FCC Rule Part15 C Low Power Communication Device Transmitter). The AG501 was tested according to the ANSI C63.4-2014 measurement procedure. The Directive 2002/95/EC (RoHS Directive) deals with the Restriction of certain hazardous substances in electrical and electronic equipment. This directive restricts the use of 6 hazardous materials (lead, cadmium, mercury, hexavalent chromium, polybrominated biphenyls (PBB) and polybrominated diphenyl ethers (PBDE)) in the manufacture of various types of electrical and electronic equipment which is destined for placement on the EU market. 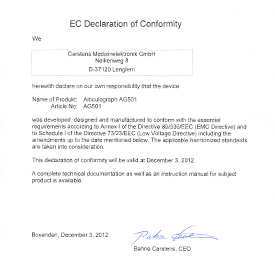 We, the Carstens Medizinelektronik GmbH, hereby declare that all of our products comply in full with the RoHS directive. The Directive 2002/96/EC (WEEE Directive) is designed to reduce electrical and electronic equipment waste, to increase recovery by recycling and to improve the environmental process of manufacturers. Being a manufacturer and distributor of articulographs, the Carstens Medizinelektronik GmbH is registered as a producer of WEEE. The application area of our articulographs is the human medical and biological fundamental research. Articulographs find absolutely no use in private households. Therefore, our products fall into the category B2B (Business to Business). The producer of EEE (Electrical and Electronic Equipment) of category B2B have to make sure that the respective equipments are not used in private households and that they will not be disposed of with normal waste. 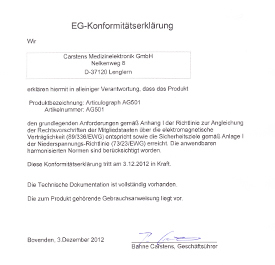 There is the evidence, in the form of signed contracts between the Carstens Medizinelektronik GmbH and the business users, that clearly sets out that the users are responsible for the costs of collecting and treating the articulographs at the end of their lives.